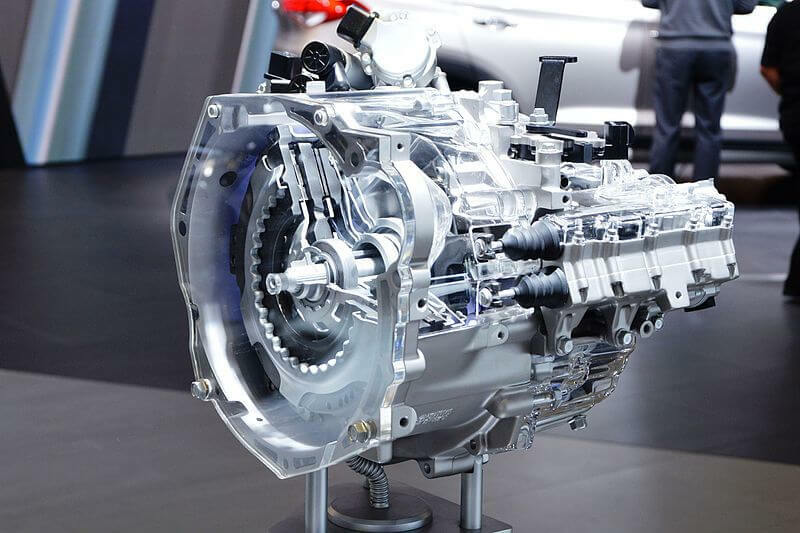 Dual-clutch transmission DCT is a type of automatic transmission. It is also called twin-clutch transmission or double-clutch transmission. It is equivalent to two manual transmission unit enclosed in one housing as one single unit. Although it is usually operated in a fully automatic mode, many of them allowed to use in manual shifting in semi-automatic mode. 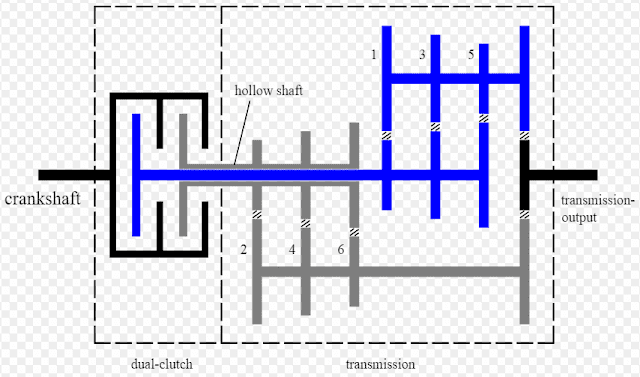 Dual clutch transmission has two input shaft connected to their own clutches. Two clutches are arranged in concentrically. Larger outer clutch has odd-numbered gears while smaller inner clutch has even-numbered of gears. Only one gear on the one input shaft transmits the power at a time. It allows transmission of engine torque while one clutch is engaged, at the same time other clutch is disengaged (when odd gear engaged the even gear is disengaged). It helps to pre-selection of alternate gear ratio as well as quick and accurate shifting. Though dry-clutch versions available, DCT primarily use two oil bathed wet multiple clutches. The wet type are generally used for higher torque engines (1,250 N·m ) whereas the dry-clutch design is preferred for smaller vehicles with lower torque outputs up to 250 N·m. the dry clutch dry clutch increase fuel efficiency since it has no pumping losses of transmission fluid in the casing. Torque transmission can be accomplished without interruption torque distribution to the driven road wheels. It replaces the torque converter used in conventional epicyclic-geared automatic transmissions. Gears shift can be done very smoothly and effortlessly when compared to single plate automatic transmission. DCT is quick, Fastest gear shifting available to road car transmission. It can shift gear even faster than professional racing driver using a manual transmission. High efficiency and Fuel economy compared to other automatic shifting.